HEVO’s vision is built on creating the global wireless charging standard for electric vehicles (EVs) that provides users with the charging experience they are demanding – the ability to simply park and power up. People, planet and power represent the core values of HEVO business, products and services. HEVO and its partners will lead the transportation evolution, an evolution which will achieve greater energy independence and protect the environment and security interests of future generations. Provide a fast, safe and affordable wireless charging network that delivers locally resourced, sustainable energy to customers with electric vehicles. 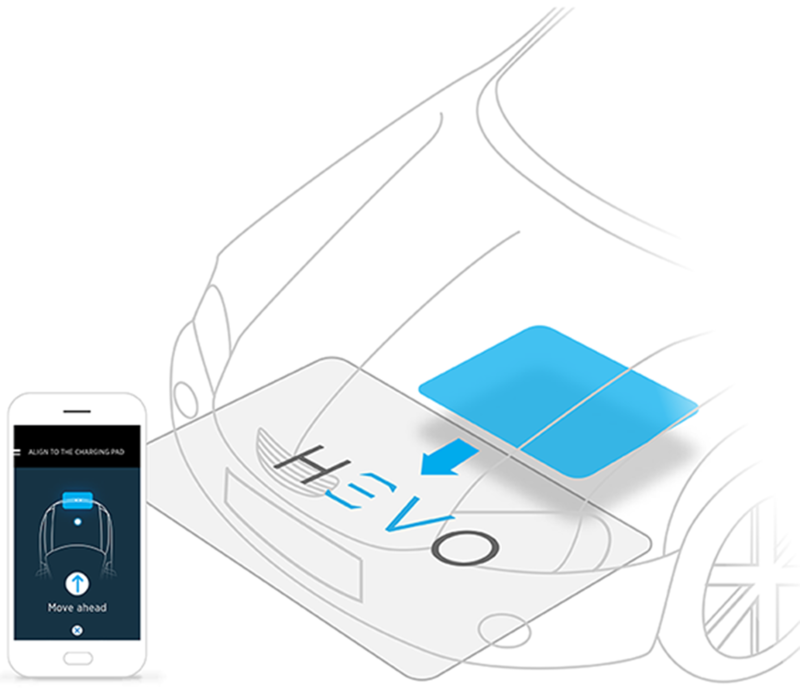 HEVO wholesales and licenses its wireless charging technology directly to EV OEMs, Tier 1 auto suppliers, grid managers, EV charging infrastructure companies and fleets. HEVO will be the first company in the world to commercialize a certified wireless charging technology for electric vehicles. Their products are ready-made for universal compatibility with SAE J2954, UL2750 and OCPP standards for interoperability. With four patents pending, and more to follow, HEVO is preparing to manufacture and sell their products around the world. Founder and former U.S. Army Captain, Jeremy McCool, launched HEVO in November 2011, while finishing his graduate degree in urban policy and sustainability at Columbia University. HEVO’s team spans across North America and Europe, with offices in Brooklyn, Amsterdam and Silicon Valley. Collectively, they have launched more than 10 companies and developed innovative products still being sold and used around the world. HEVO is participating in IMPACT Connected Car, the new program from IMPACT Accelerator, as a Pioneer Success Case. During the 30 months of the program, HEVO will take part in events to promote IMPACT Connected Car, C-Car Hubs, and the connected car community, while showcasing the company itself as an example of a best practice in the vertical. HEVO will also receive an equity-free grant as part of its participation in IMPACT Connected Car, which it will use to continue to develop and improve its innovative offering. During the IMPACT Connected Car project, HEVO’s aim is to resolve the many complications of plug-in charging by building strong alliances with regional and global strategic partners that are willing, ready and enthusiastic about deploying a ubiquitous, universal wireless charging network throughout Europe.